Morning everyone, really nice and cool up here at the moment. We have Eagles Golfing Society Raffle Tickets for sale for $2.00, there are lot of awesome prizes, they are on the main office desk please put your money into the box beside the tickets so we do not get them mixed up with the Club $2.00 raffle, these are normally sold on Halberg Day which is on Sunday the 8th April – please support this raffle as the money raised goes toward promoting and fostering Junior Golf in NZ. It was great to hear the Mid-Week Ladies Pennants team beat Karori at Waikanae on Monday 5 ½ – 3 ½ – Awesome result Ladies. Good Luck for your game on Monday Ladies playing at Royal Wellington against Martinborough – another win will be awesome!!!! Hitting multiple balls from the fairway to a green #1 to #18, is prohibited, that sort of practice should be made on the practice areas provided only. We provide the practice areas for your benefit – as this sustained practice in one area is causing undue damage to the course. Winner of the Don Hazlett Cup was Zane Wilkins. Winner of the Bolt Cup was Keith Morris – runner-up was Kayne Martin. Winner of the Mayer & Ken Cup again was Keith Morris – runner-up was Kayne Martin. Stroke Play Champs Gross Results for the Seniors was Michael Payne 230, Zane Wilkins 231, Kayne Martin 234, Intermediate Robert McIntyre 250, Chris Brooks 251, Allan Old 257, Juniors Steve Needham 264, Brett Keno 267, Jason Bevan 273, please check Dot Golf for Match-playing Qualifying rests. Stroke Play Champs Gross Results for the Ladies was Amie Clisby 170, Gina Omundsen 177, Kim Abrahams 184, Nett Results were Kim Abrahams 146, Gina Omundsen 150, Amie Clisby 154 – congratulations ladies!!! Mid-Week Women Strokeplay Champions – Gross Winner was Audrey Messenger and Nett Was Mary Penrose – congratulations ladies. Sunday 25th March: National Teams Event. This is a nett competition open to all full playing women members. Entry is $3.00. The 4 best nets form the Te Marua Team to play in the final which is a 4BBB competition on Friday 18th May. 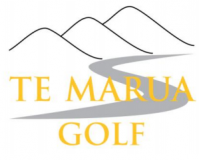 This year the final is to be held at Te Marua. The Mid-week Women played last Wednesday, and according to the conditions from NZ Golf, if they want to play another round they are permitted to do so but must pay another $3.00 entry. Sunday 25th March the Men have their first round of Golfer of the Year. Saturday 7th April the course is closed till lunch time – we are hosting the Mashies. Thanks very much to John Dillon who helped the Green-Keepers put the pipe across the 8th fairway, they did an awesome job. The trench is not completely filled as the front end loader broke down, hopefully this job will be completed early next week. I am ordering personalized golf balls ( in black ink) again, you buy three dozen Titleist Pro V1 or Pro V1x and get the fourth dozen free, please contact me if interested. We hosted the St Paddy’s Day Tournament on Saturday, they as usual were a pleasure to host and we had some wonderful compliments about our beautiful course. Thanks to Bernie Breslin and Co for another awesome tournament. For Easter Friday and Monday I have set up Mixed Stableford and Twos for both days, Saturday and Sunday are as per normal. Don’t forget Daylight Savings ends NEXT Sunday 1st April – April Fools Day. Clocks go back an hour!!!!! Good Luck to all our Men’s and Women’s Interclub Teams tomorrow!!! Sunday – Club Day – Golfer of the year for men, National teams Event for the women. Friday thru Monday EASTER WEEKEND.